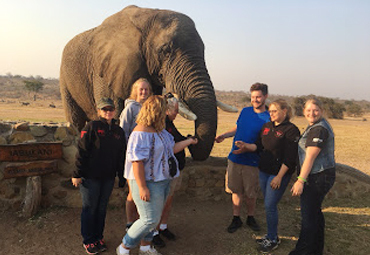 Six Education for Employment Veterinary Science alumni went on the journey of a lifetime in Hoedspruit, South Africa to take part in the Vets and Wildlife Program. 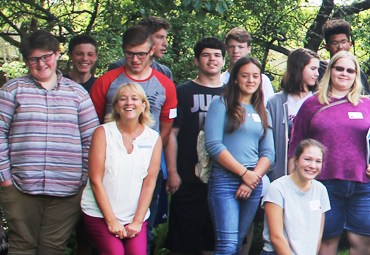 On August 22 and 23, first-year Early/Middle College (EMC) students attended EMC Bootcamp. About 100 11th-grade students from Kalamazoo County gathered at Kalamazoo Valley Community College to prepare for the start of classes. 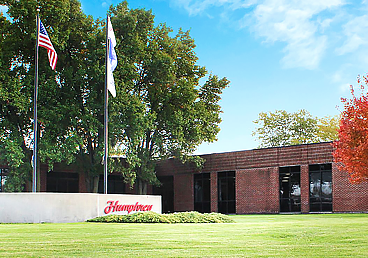 Three teams of EFE Computerized Manufacturing students were recognized as Honorable Mentions during the Michigan Design Council’s Third Annual Michigan Design Prize Competition on Tuesday, June 19, 2018. 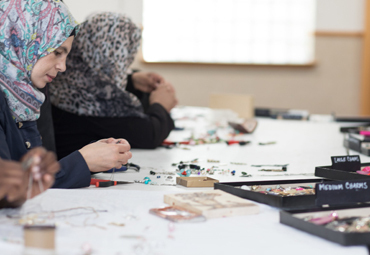 Education for Employment Art & Design Career Skills student artists assisted with a jewelry making workshop for Syrian refugee women at the Kalamazoo Islamic Center. 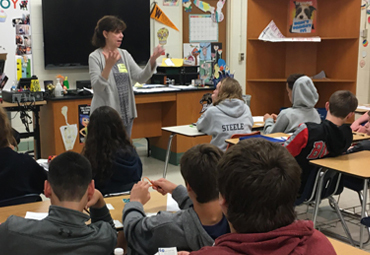 Kalamazoo RESA’s Career Readiness Coordinator Kristen Garceau led career development during Career Week at Portage Central Middle School. Ninth-grade girls from high schools across Kalamazoo County explored non-traditional career opportunities at the Wonder Women at Work expo on Friday, May 18 at Kalamazoo Valley Community College. 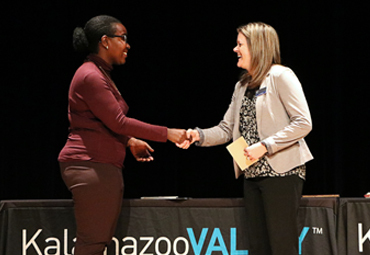 The Kalamazoo County Early/Middle College (EMC) program celebrated the completion of its inaugural class at the first-ever EMC Completion Ceremony on Thursday, May 10, at Kalamazoo Valley Community College. 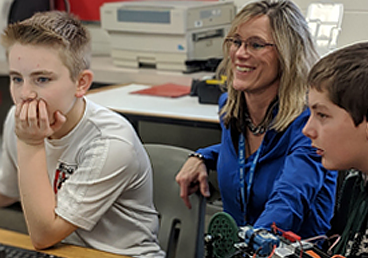 Students from across Kalamazoo County exhibited their hard work at the annual STEM Showcase at Kalamazoo Valley Community College on May 11. 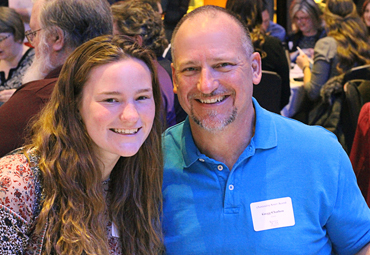 High school seniors in Kalamazoo RESA's Education for the Arts and Education for Employment programs were recognized for their impressive academic accomplishments at the 2018 Outstanding Senior Awards Breakfast. 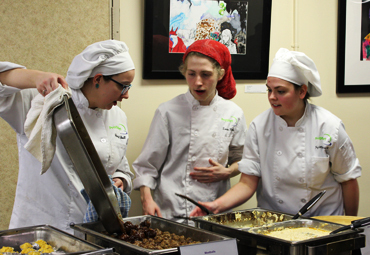 Education for Employment’s Culinary Arts students provided catering to more than 300 people at the annual Kalamazoo Public Schools’ Secondary Art Show on Friday, March 2, 2018. 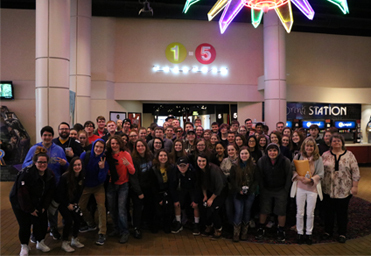 More than 300 STEM students from Kalamazoo County traveled to Celebration Cinema for a private screening of “Dream Big: Engineering Our World” in Imax 3-D, sponsored by the Western Michigan University College of Engineering and Applied Sciences. 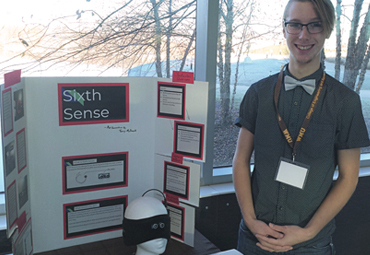 EFE Electronics & Robotics Student Terry McDonald took the first-place spot in the high school division at Western Michigan University’s Innovation Day for his unique creation, Sixth Sense. 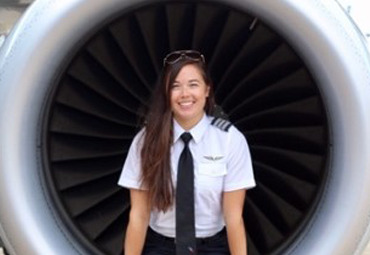 Captain Nicole Mott is one of these people. 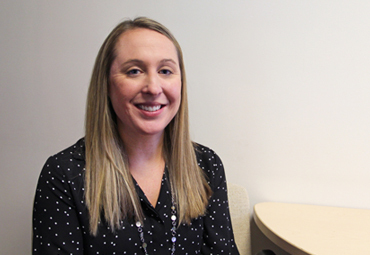 As a new captain with Envoy Air, finishing her upgrade at the end of 2017, Mott has embarked on the next phase of her career. 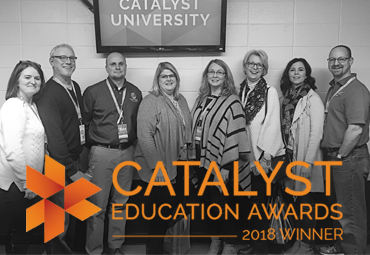 Kalamazoo RESA's Education for Employment program was recognized with the 2018 Catalyst University School of the Year award on Thursday, January 25th. 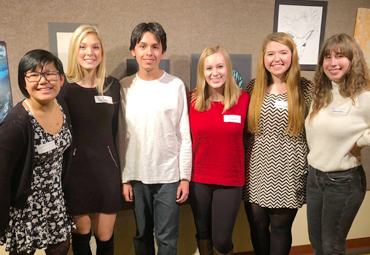 Students in EFE’s Art & Design Career Skills featured artwork in the Olivet Regional High School Student Exhibition at the Kresge Foundation Art Gallery in December. 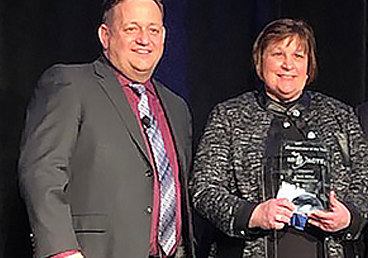 Kalamazoo RESA Education for Employment (EFE) Culinary Arts students earned recognition at the annual Lake Michigan College Hospitality and Culinary Cook-Off in November. 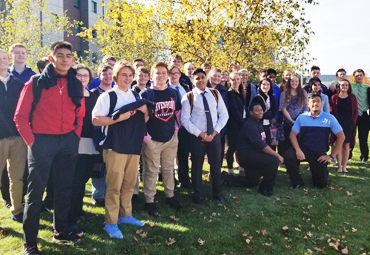 200 Education for Employment Business students from Schoolcraft, Vicksburg, Portage Northern and Parchment high schools traveled to Davenport University in November to compete in Shark Week. 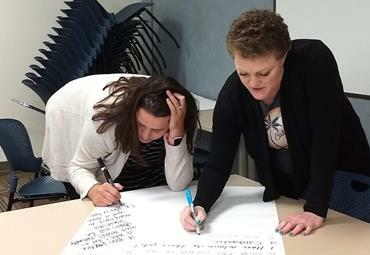 Kalamazoo County students and their families are invited to connect the dots to their future as they explore the many opportunities that EFA, EFE and EMC have to offer! 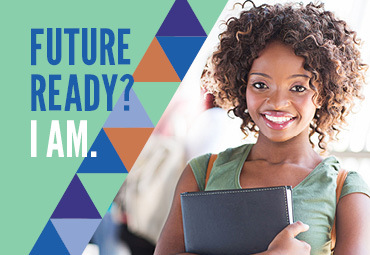 Chat with EFA and EFE instructors, discover EMC options and make the most informed decisions for your future. 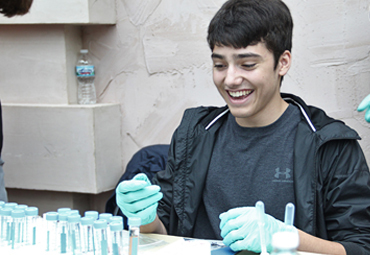 Nearly 5,000 eighth-graders from across southwest Michigan explored in-demand careers at the hands-on MiCareerQuest Southwest Community Open House and Job Fair career exploration event on November 1-2. 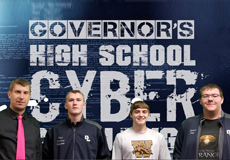 The Gull Lake Computer Science class, the Cyber Wizards, are headed to Detroit on Monday, October 30, as they move on to the second round of the Governor’s High School Cyber Challenge at the North American International Cyber Summit. 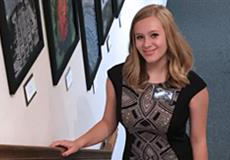 Visitors were lined out the door to view Jessalyn Kline’s, an Education for Employment Art and Design Career Skills students, Art Hop gallery on Friday, October 6th. In case you missed Kline’s Art Hop debut, For the Love of Art will remain on display until Friday, October 27. Eighth-grade students from across Kalamazoo County will travel to the third annual MiCareerQuest Southwest event on Wednesday-Thursday Nov. 1-2, at the Kalamazoo County Expo Center. 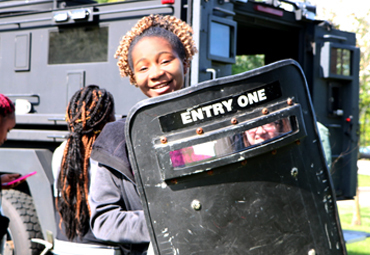 Students will explore in-demand jobs at the hands-on, experiential career exploration event. CSM Group of Kalamazoo presented Education for Employment (EFE) Construction Trades students with hardhats and high-visibility t-shirts at Loy Norrix High School on Tuesday, September 12. Former EFE student to the rescue!